In the end, the outcome was the same in the two Thursday night Euroleague playoff games but the nature of the game, and the winning margin, couldn’t have been more different. We have now played six games in the Euroleague playoffs and there have been six home wins, which means that next week the four teams in action last night know what is at stake. An away win would kill the series there and then, so all of the pressure is going to be on the hosts in Playoff A and Playoff C.
The Turkish team ran riot in the Ulker Sports Arena on Thursday night, making the Euroleague hosts seem ordinary. Fenerbahce now have a 2-0 lead in their bets of five series and they are just one win away from making it into the Final Four. A 10-0 scoring run early on put Fenerbahce ahead and they never looked back. There was also a 16-3 scoring run in the second quarter and Real Madrid were far from their best with the short space in between games catching up with the away side more than it did the hosts. Ekpe Udoh grabbed 18 points, Nikola Kalanic provided 17 points, Bogdan Bogdanovic scored 16 points and Bobby Dixon picked up 14 points. With Luigi Datome offering 12 points, there were plenty of big names getting in on the act for the hosts. This was Madrid’s worst ever defeat in the playoffs with Sergio Rodriguez grabbing 15 points and Luka Doncic providing 10 points. This was a nail-biting encounter that the Russian side managed to cling on to. 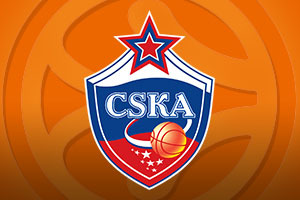 This leaves CSKA Moscow one win away from their 13th Final Four in 14 years, and they have three games to grab the win. The triumph also counted as the club’s 16th straight home win in the playoffs. They will have two chances to finish the series in Belgrade next week but failing that, they’ll have one more chance in Moscow if they need it. The hosts were desperate to grab the win and they ahead at the break, 44-48, but a good run by the hosts looked enough to have secured the game. There was a 7 point lead for the hosts late on, but then a 1-8 scoring run tied the game, before Crvena Zvezda sensationally took the lead with less than two minutes on the clock. Of course, CSKA have a number of match-winners and Milos Teodosic sunk a three-point shot to grab the game for the home team. Kyle Hines provided 19 points in the win while both Nando De Colo and Cory Higgins offered up 13 points each in the win. Stefan Jovic offered up 15 points, Tarence Kinsey and Marko Simonovic provided 14 points and Quincy Miller offered 11 points in the loss. 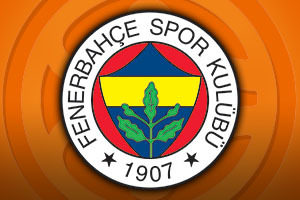 Crvena host CSKA Moscow on Monday 18th of April while Real Madrid host Fenerbahce on Tuesday 19th of April.